Or on Spotify or Soundcloud or Youtube. Thank you Bertil Brahm for your beautiful drawing! We realized that female musicians are much less visible than their male counterparts, and we don’t think that this is because there actually are fewer female musicians or that they perform at a lower level of quality. We’re seeking out to create awareness for that and help these ladies get the attention they deserve. 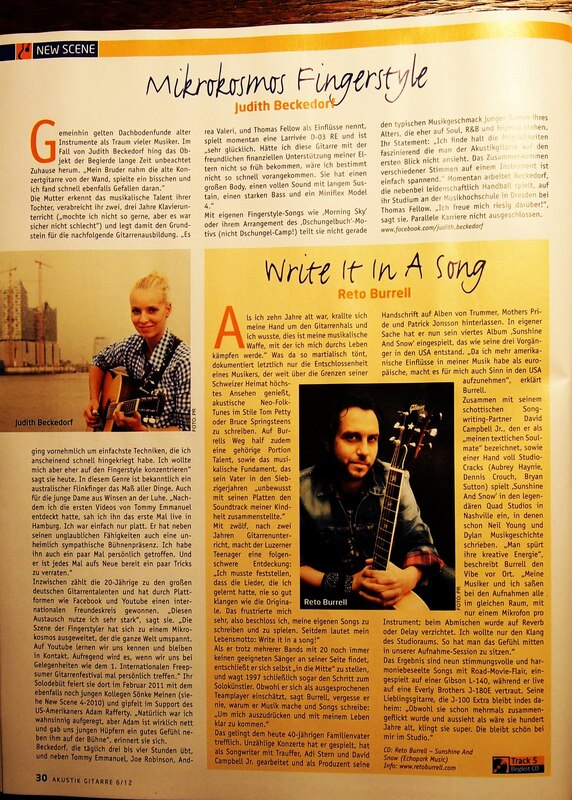 On our website you can find much info, tour dates and of course: music! The name of the band is drawn from the traditional American radio show “Live From here” (A Prairie Home Companion”) which is now hosted by our hero, mandolinist Christ Thile. 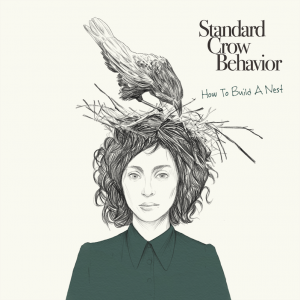 We all write songs and sing and this project is a ton of fun. I hope you will like what you hear from us since this will be a totally new musical side of mine building on all the influences that hit me in Nashville, TN. 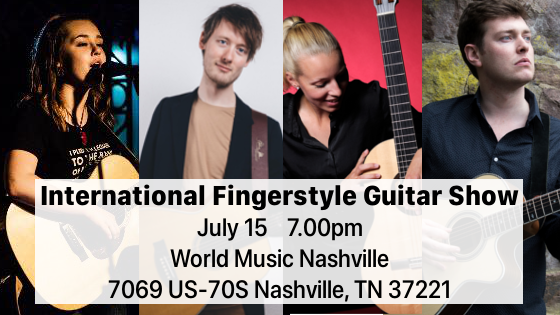 On July 15th 2018 four of the best young guitarists from all over the world come together to celebrate an evening of fingerstyle guitar. For the first time Judith Beckedorf (Germany), Casper Esmann (Denmark), Shane Hennessy (Ireland) and 17-year-old Emma Dean from Austin, TX, featuring Eddie Dickerson (fiddle) are sharing the stage. Wie du vermutlich mitbekommen hast, habe ich gerade ein gutes Jahr in Nashville, TN (USA) verbracht und dort jede Menge Musiker kennengelernt und Musik gemacht. Mit dreien habe ich jeweils ein Duett aufgenommen und diese werde ich in den nächsten drei Monaten mit dir teilen. Wenn du dich in die Email List hier rechts einträgst, erhältst du den Zugriff auf die Videos immer eine Woche vor allen anderen. Das erste Video erscheint in Kürze! 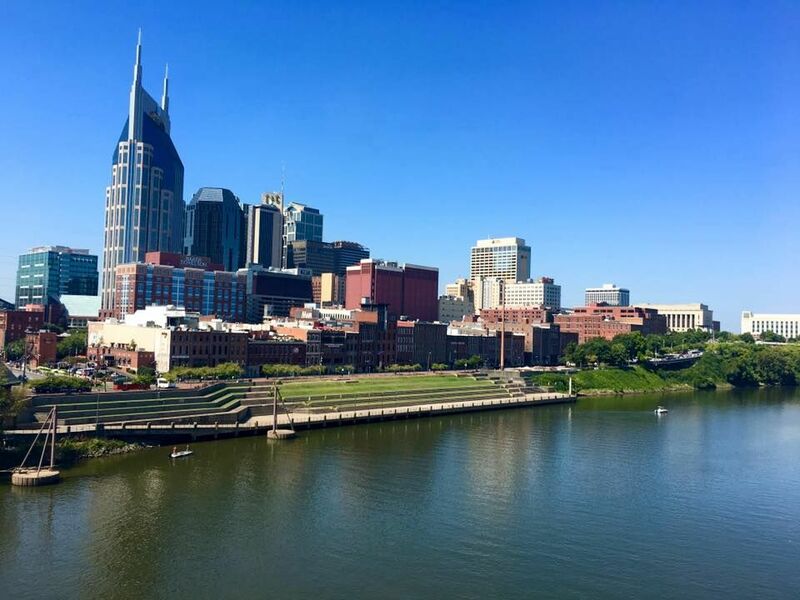 You might have heard that just recently I spent a good year in Nashville, TN where I met plenty of fantastic musicians and played a lot of music myself. 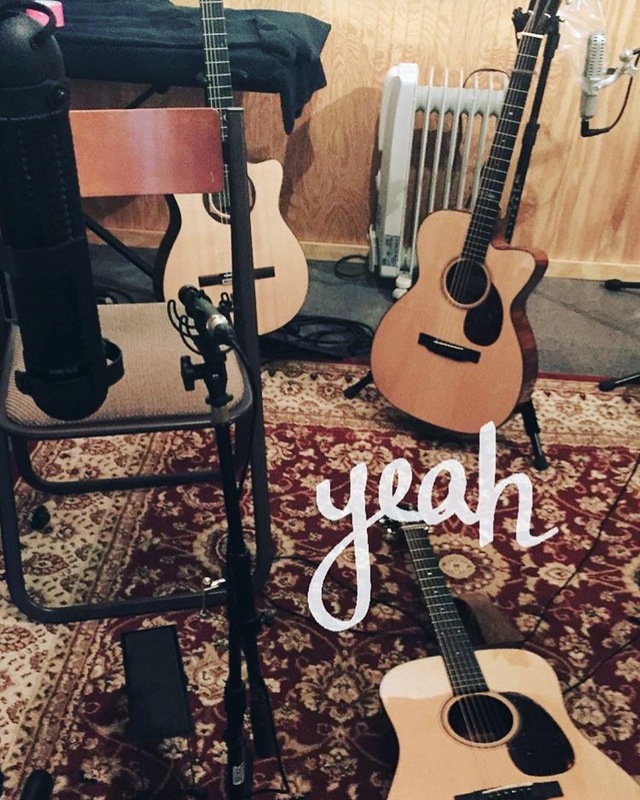 Within the next three months I will share three duets with you, that I recorded in Nashville with musicians I really connected with. When you sign up for the mailing list here on the right you will have access to the videos one week before everyone else. The first video will be released soon! In der Zeit von August 2016 bis Mai 2017 werde ich an der Belmont University in Nashville/Tennessee in der USA studieren. Damit ihr verfolgen könnt, was ich hier so treibe, gibt es ab jetzt auf dieser Website unter Blog ca. einmal im Monat ein Update. Viel Spaß beim Lesen! From August 2016 until May 2017 I am a student at the Belmont University in Nashville/Tennessee in the US. Roughly once per month I will give you an update on what I am experiencing at that will be posted under the heading Blog. I hope you enjoy reading! Vom 18.-25. Juni 2016 fahre ich mit dem deutschen Mixed Nationalteam zur WM nach London, um mich mit den 40 besten Teams der Welt zu messen. Wir haben einiges vor und freuen uns über eure finanzielle Unterstützung. In der Rubrik Ultimate gibt es mehr zu lesen. From June 18th through 25th 2016 I will participate in the World Ultimate (and Guts) Championships with the German Mixed team to compete against the 40 best teams of the world. We have big things in planning and need your financial help. Under Ultimate you can find more information about it. Voller Vorfreude kann ich verkünden, dass meine Debüt EP ‘Flowers’ im Februar erscheint! Auf ihr befinden sich 3 selbst geschriebene Songs und 3 instrumentale Stücke. Bestellen kann man sie hier. 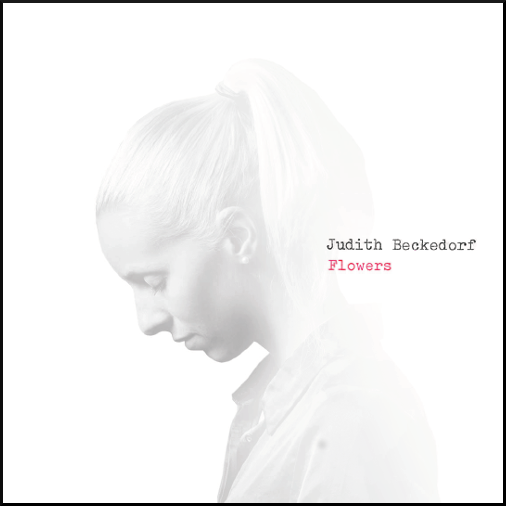 I am happy to announce that my debut EP ‘Flowers’ appears in February. It contains 3 original songs and 3 instrumental pieces. You can order it here. Ende August/Anfang September freue ich mich auf ein paar Doppelkonzerte in Deutschland gemeinsam mit dem Sologitarristen Sönke Meinen. Ein paar der Konzerte werde ich mit meinem Duo “Judith&Victor” mit Victor Sepulveda spielen. 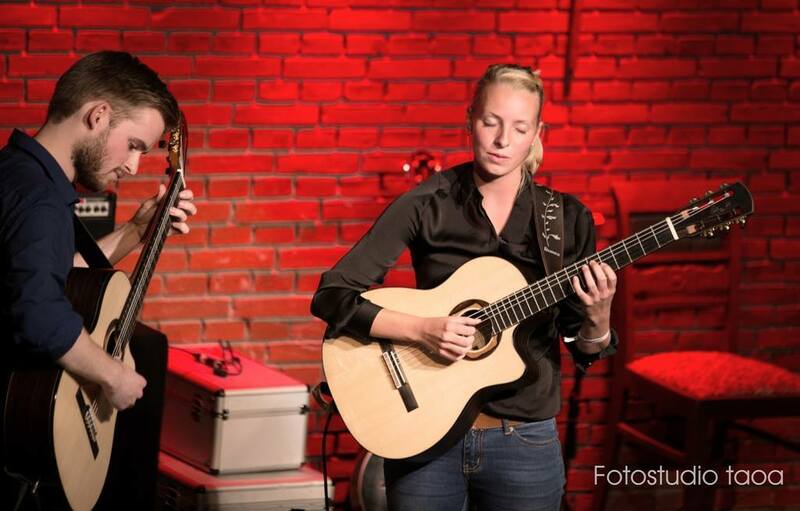 I am looking forward to playing a few shows with the solo guitarist and good friend Sönke Meinen. 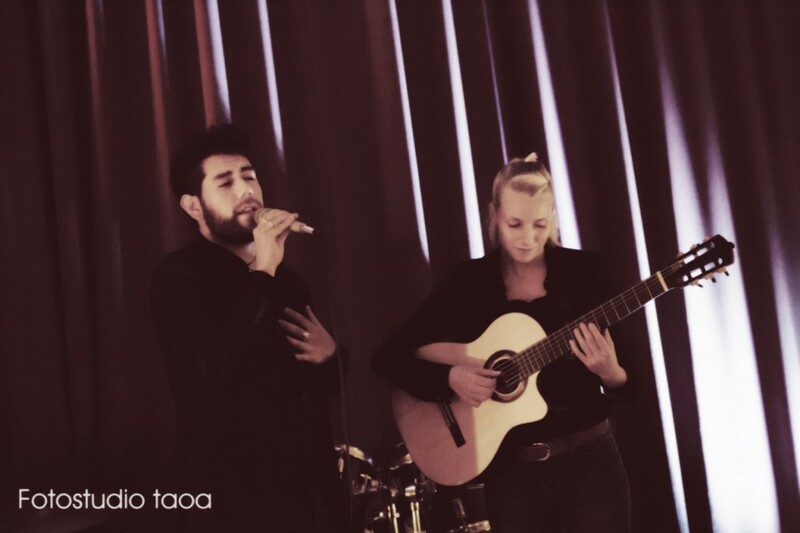 In some of the concerts I will play with my duo “Judith&Victor”. Vom 6. bis 9. November haben Victor und ich unsere erste kleine Tour mit unserem gemeinsamen Projekt Judith&Victor durch Gütersloh, Bielefeld und Duisburg absolviert. Unterwegs als musikalische Wundertüte hatten wir viel Spaß und besondere Momente bei allen Konzerten und freuen uns auf das nächste Mal. Denn das wird kommen…! I went on my first short tour of 3 concerts with my project Judith&Victor and thank everybody for all the special moments we had. We can’t wait for the next time! 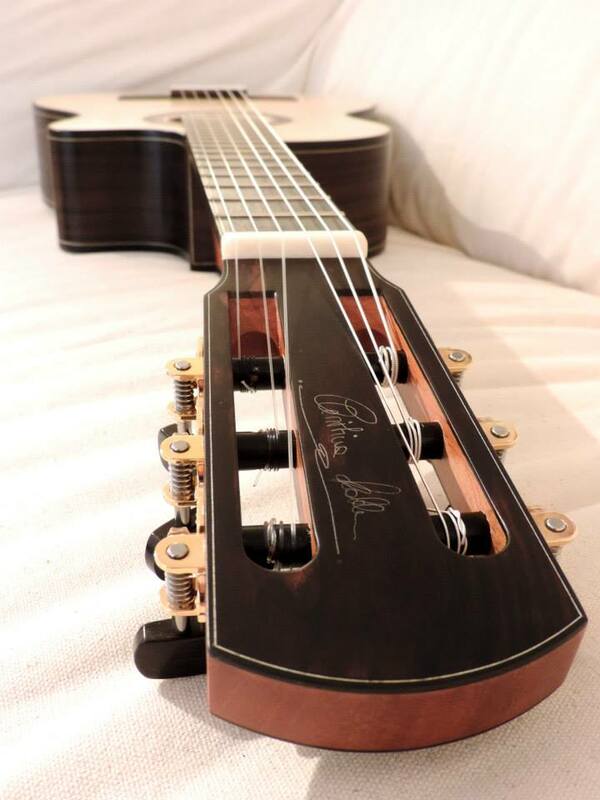 Ich bedanke mich vielmals bei der wundervollen Christina Kobler für diese einfach schönste Gitarre! Wer findet den Kussmund? 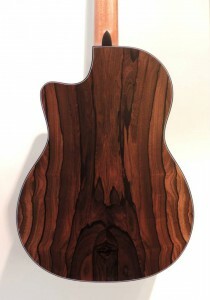 I would like to thank the wonderful Christina Kobler for this beautiful guitar! Who finds the puckard lips? More pictures to be found in the Gallery! Am 27. Oktober 2013 um 19.00h findet in meiner lieben Heimatstadt Winsen (Luhe) im Marstall ein Konzert mit einem meiner Gitarrenhelden statt: Adam Rafferty (New York). Mit dabei werden viele weitere tolle Musiker sein: Pop-Secret – Chor der Musikschule Winsen (Luhe), Angela Maack-Coban & Hugo Leyton und Tobias Lipski. Desweiteren darf ich das erste Mal mein neues Projekt mit dem Jazzsänger Victor Sepulveda Rodriguez meinen Freunden und Bekannten daheim zeigen. Karten für das Konzert gibt es bereits für den Spottpreis von 19€ und 14€ ermäßigt (bis 17 Jahre) bei mir zu kaufen. Ab nächster Woche Donnerstag ebenfalls z.B. bei der örtlichen Musikschule. Infos in aller Kürze nochmal hier! 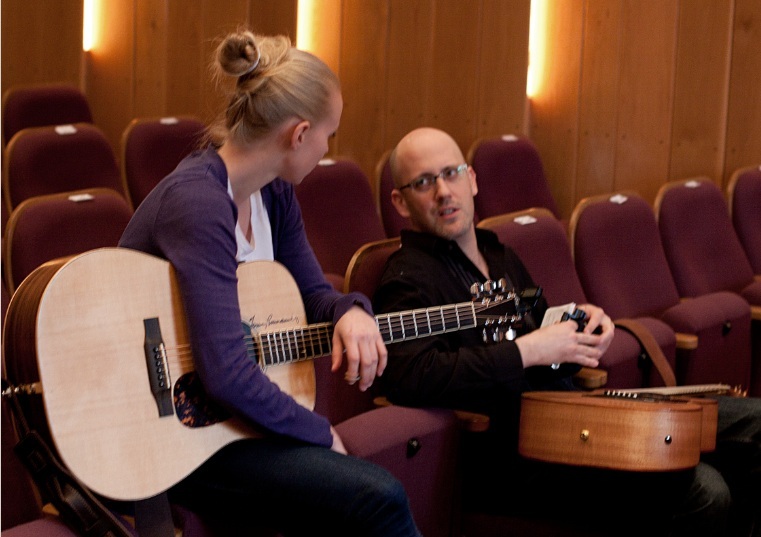 Außerdem gibt Adam vor dem Konzert von 11.00-13.00h einen Fingerstyle Workshop für ambitionierte Gitarristen in der Musikschule Winsen (Luhe). Willkommen auf meiner neuen Homepage! Wenn ihr über irgendwelche Kinderkrankheiten stolpert, kontaktiert mich doch einfach auf dem Wege, der euch am liebsten ist. Aaaaußerdem mache ich mich vom 10. bis 12. April erneut auf den Weg zur großen Musikmesse nach Frankfurt am Main. Man wird mich hauptsächlich in Halle 3.1, bei den “Zupf- und Streichinstrumenten”, wie es so schön heißt, antreffen. Welcome to my new website. In case you discover any mistakes I made here, just contact me! Aaaaaand I will take a trip to the Musikmesse from April 10th to 12th. I will mainly walk and play around in Hall 3.1. Hier findest du den ein oder anderen Blick hinter die Kulissen von Festivals oder anderen Auftritten. Falls du Interesse an meinem Equipment hast, kannst du hier nachsehen (Gear), was ich spiele und gerne benutze. Wenn deine Fragen dann noch nicht alle beantwortet sind, kannst du mich einfach kontaktieren (Contact)! You will find some behind the scenes views from festivals or other gigs. In case you are interested in my equipment just check out the Gear section. If there’s any questions left just contact me and ask! Judith in der Akustik Gitarre!